Eddie Brock seeing the Symbiote in a new light. 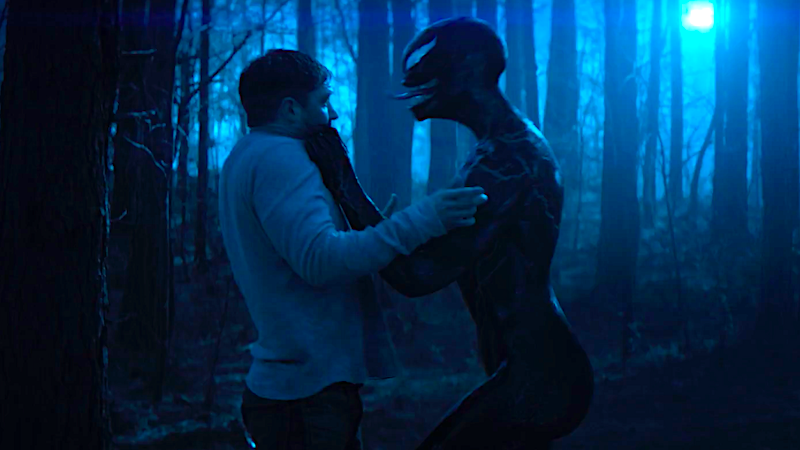 After months of putting out a bunch of weird Venom advertisements that didn’t exactly make it seem as if the movie was going to be very fun, Sony realized that audiences were picking up on (and more importantly, liking) Venom’s sexual undertones, and decided to lean all the way into them. The studio’s seemingly kept that in mind in the days leading up to the movie’s digital and Blu-ray releases with a new rom-com ad highlighting, well, the unabashed love that Eddie Brock and the Symbiote have for one another. It’s rare to see a studio manage to get on top of a so-so ad campaign, pick up on the public’s reaction to a movie, and then ride the meme wave to millions of dollars at the box office—and yet that’s exactly what Sony’s done. What remains to be seen is if the studio can catch this kind of lightning in a bottle the second time around. Venom hits digital platforms on December 11 and Blu-ray/DVD on December 18.